One of the ways the Soviet Union kept its population “in its place” was the continual monitoring of people who disagreed with the freedom grabbing communist system. They would infiltrate dissident groups via what they called agents provocateur pretending “sympathy to the cause”, using/distorting the information to wage smear campaigns against prominent dissidents. David Corn and Mother Jones has been hard at work duplicating the Russian methods. With both the Romney 47% tape and the McConnell political discussion transcript, modern equivalents of agents provocateurs recorded tapes of private meetings, edited the information to distort its meaning and used it to wage smear campaigns on politicians with whom they disagreed. to receive a “prestigious” Journalism Award, The Izzy. 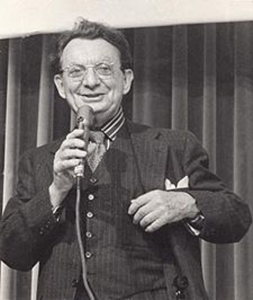 The Izzy Award is named after prominent journalist and liberal hero I. F. Stone, who launched I. F. Stone’s Weekly in 1953 and exposed government deception, McCarthyism, and racial bigotry. Stone has been hailed by liberals for decades as the literal “conscience” of journalism. The Los Angeles Times dubbed him the “conscience of investigative journalism,” and CNN’s Larry King called him a “hero.” When Stone died, an Oliphant cartoon showed him outside the Pearly Gates, with Saint Peter telephoning God, “Yes, THAT I. F. Stone, Sir. He says he doesn’t want to come in — he’d rather hang around out here, and keep things honest. It just so happens that I.F. (Izzy) Stone was also an Agent for the Soviet Union. rectitude and a teller of truth to power before his death in 1989. 1944-45; we do not know whether that effort succeeded.…. To put it plainly, from 1936 to 1939 I.F. Stone was a Soviet spy. the authority on the Venona papers. Kalugin, who stated flatly: “He [Stone] was a KGB agent since 1938.
but for a time he was a Soviet agent. information to distort its meaning and used their fictionalized version of the proceedings to wage smear campaigns against politicians with whom they disagreed and they are praised as examples of courageous and independent journalists. This suggests that perhaps that presenting the Izzy award to Mr. Corn and Mother Jones is a very appropriate action. Note: for additional documentation on Stone’s Soviet activity please visit the links provided above.